“Born in Glasgow, Gregor has lived and worked in Western Australia for the last 25 years. 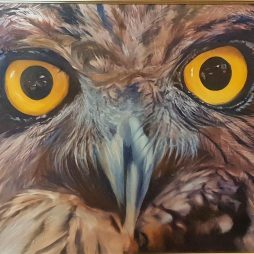 He has recently exhibited in Perth, Sydney, Melbourne, Hong Kong, Tokyo and Singapore. 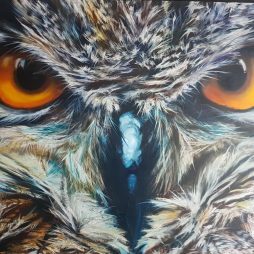 His career has brought him back to Scotland where his passion for landscape and wildlife oil painting can be fully explored. 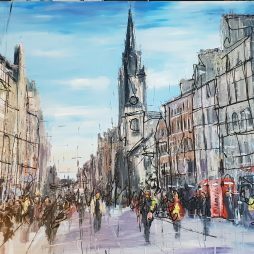 With Honours degrees in Physics and Mathematics, Gregor is known for highly detailed, expressive oil works. 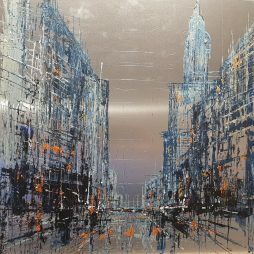 From striking outback scenes to European architecture, Gregor’s work has had a strong following “Down Under”. His use of colour and attention to detail is strongly expressed in his figurative studies. 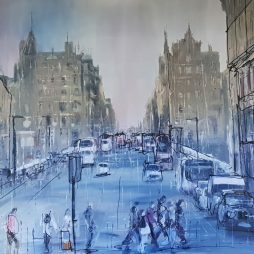 Since returning to Scotland he has begun developing a unique style combining textured oil on aluminium”.